Stop here, you're in the right place. 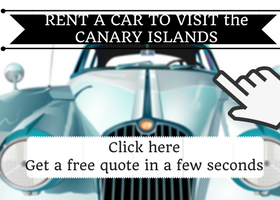 I will help you to choose the best area in Lanzarote according to your personal needs. I often visit the Spanish islands (especially Gran Canaria where I have my holiday apartment) so I can help to planning a nice holiday in Canary islands. Which part of Lanzarote is the best for... ? Where to stay in Lanzarote: recommended hotels, apartments, resort. Lanzarote for young people/nightlife: Puerto del Carmen or Arrecife. Best area to visit Lanzarote up and down: Puerto del Carmen. ⇨ Best choice to stay in Puerto del Carmen: Apartments facing Playa Grande . ⇨ The best choice to stay in Costa Teguise: Apartments near the beach. Lanzarote for families with children. Playa Blanca. Lanzarote for those looking for the sea and the sun. Playa Blanca. ⇨ Best choice for sunbathing and beach life: Apartments in the center of Playa Blanca. Which part of Lanzarote is the best? Que es la mejor zona de Lanzarote? Puerto del Carmen in mid-island facing eastward. Costa Teguise in the north of the airport. These locations are the primary choice of tourists coming to Lanzarote. Now let's see in detail what is the best area to stay in Lanzarote for you tastes. Is it Puerto del Carmen? Puerto del Carmen liken it to Playa del Ingles, Gran Canaria, because it is the "old tourist" and known area. I went in February to Lanzarote and I stayed 3 nights in Puerto del Carmen. A long walk along the coast. A pretty old harbor area with many typical restaurants. Looking for nightlife: it is full of restaurants, pubs and shops. For "nightlife" I do not think to Ibiza style but something more soft . 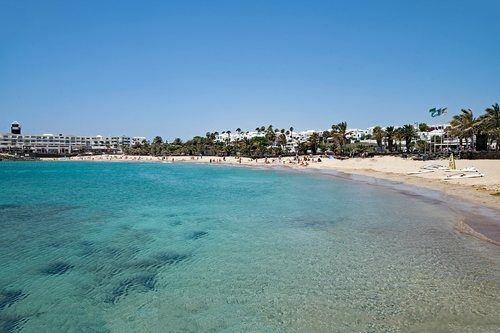 Although Lanzarote is not just the icon island of fun and nightlife, if you're young you should stay here. Much more comfortable for some sightseeing in the norther part of Lanzarote. He gave me the feeling of being more chic than Puerto del Carmen. Here I found many northern European retirees. "Pueblo Marinero" is considered the center of social life in Costa Teguise full of Bars and restaurants. It is characteristic, however, as mentioned, if you're young people is best to stay in Puerto del Carmen. It is a convenient location for visiting the North Island attractions. It is a tourist center that, although less of Puerto del Carmen, it has shops and restaurants. There is also a beautiful beach in case you want to sunbathe but is a windy beach. In winter the water is freeze. Apartments in Lanzarote Costa Teguise. I stayed in Playa Blanca during my last days in Lanzarote holiday after visiting, up and down, the many attractions of the Norther area. I went to the south in search of relax, sunbathing and have a swim. Unfortunately the weather was not good. Usually, the Souther area is slightly warmer and less windy than the rest of the island but, in my opinion, not enough to make sealife, at least in winter. For the winter season is better to go in Gran Canaria South West countries. In Playa Blanca there are many families with children. Are you looking for a relaxing holiday. Looking for a place with tourist shops and restaurants. Beach where you can swim. 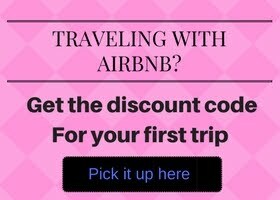 Traveling with your family and children. Apartments in Lanzarote with parking and wifi included near the center and the beach. Like any capital, Arrecife town is NOT only for tourists but also to those who live and work there. Arrecife is pretty connected to the bus station with a comfortable walk along the ocean and a park. The Reducto beach is wide, perfect for sunbathing. I visited Arrecife on several occasions always the weather was sunny but the last time I went, I was shocked: there was so much wind to create a tidal wave and the local police had to close the paseo (route overlooking the ocean) as the waves were high. A wind so strong to make it hard to breathe: I've never seen such a thing in my life. Fortunately it was a sporadic episode. Arrecife is suitable for those on a budget: the prices here are lower than in the South. It is a good starting point to visit the north of the island and visit the museums of the city. The bus station connects all the major cities of Lanzarote. Lanzarote is NOT the hottest Canary island in the winter season. If you looking for a warmer area stay to Los Cristianos (Tenerife) or Puerto Rico / Mogan (Gran Canaria) the hottest areas of the Canaries in winter.